Hello everyone! Today we will learn how to make lava, and also how to make water. “But this is blasphemy!” you say. “Only gods may do such things.” While that is a fact, sometimes you have to take the good with the evil. where P is our vertex’ world position and t is the time offset of the waves. We apply this function to the vertices of the plane mesh and we obviously get waves moving in the x-direction only. That’s fine for now, but the advanced reader would want to do something about that. Anyway, now that we have waves, we switch to the other objects. We want to create foam or something at the intersection with the wave mesh. To do this, we first use the same function to calculate the current wave height in their vertex programs, then use this to create a gradient from 1 at the wave height, to 0 at a certain height above the wave height. 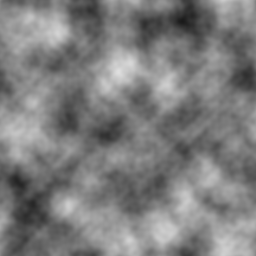 For extra fancy, apply a noise to this gradient, using the gradient value as a threshold. Maybe move the noise around for a more dynamic look. where x is the slope multiplier value. Then just take the maximum of these two functions to get the current height of the wetness. Use the resulting value to shade the fragments below darker. The Earth is counting on you!! Good luck! 2 thoughts on "Ittle Dew 2 devblog: Shaders for beginners"
At Physics we derived that the speed distribution of water is a quadratic parabola. The speed is zero at the edge, is max at center and is parabolic in between.